Nudging – is a new HR trend of 2019! SHRM (Society for Human Recourses Management) believes that Nudging is the main HR trend of 2019! They predict a significant increase in the introduction of nudging technologies. These findings are based on a study by Gartner, a global research company which is known for its predictions about the future development of markets and economies. 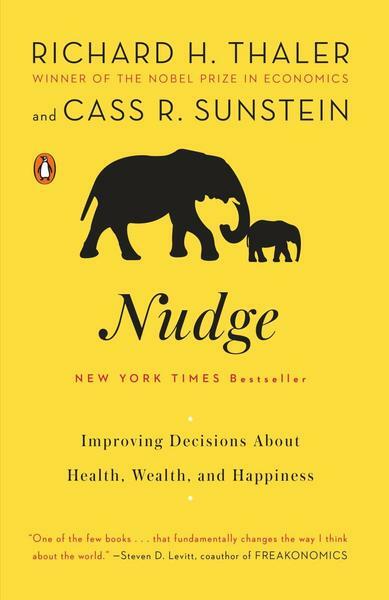 The Nudge was introduced in 2017 by the Nobel laureate Richard Thaler and means a special system that allows people to make the right choice and make the right decisions. With this method, companies can help employees be more effective, attract and retain talents, and increase engagement. Awesome discoveries and the Nobel Prize for studying the process and conclusions in the field of prosperous life! The book describes the results of research in the field of behavioral decision-making economics. In simple words, how we make decisions and how we can influence them in order to choose the best for us without pressure. This is called libertarian paternalism, i.e. pushing for better decisions without restricting freedom of choice. The authors advocate the attempts of companies and organizations to push people to the right choice, which will improve their lives. A simple example: fruits and salads in the dining room, laid out at eye level and in front of desserts, can affect what people eat, or open stairs that can push them to walk more. Employers can help employees make the right choice. People are characterized by stability and we are subject to unreasonable optimism, that’s why organizing the right attitudes by an employer helps people to live better. At the same time finding out what the majority wants called wrong. In general the main task of the top-manager is to make the life of employees as easy as possible to minimize problems. People are busy working and solving life problems. As a result, they do not have enough time to think and analyze everything. The author says that problems with self-control and thoughtless choices spoil the lives of millions of people and everyone will benefit from pushing. The book describes many techniques for how simple decisions can affect a person’s life by unobtrusively pushing for the right choice. It is also interesting that VP of Gartner, Brian Kropp, believes that modern HR need to understand business, be a member of the Board of Directors and influence the decisions of the company, and obtain MBA as well. Moreover, the well-known HR analyst Josh Bersin believes that Nudging is a new stage in the development of engagement measurement (engagement 3.0 or nudge). As an example of this approach he noticed the company Humu, created by the former HRD Google Laszlo Bock. The service allows you to conduct a survey and issue recommendations based on on-time responses. Interesting that the nudging approach is also the basis of the Cultivate mentioned by Brian Kropp. But the most interesting thing is that the Swiss-based company Lifeaddwiser even before its American counterparts was the first who offer the market a digital solution, Well-Being&Nudging platform that allows not only to use nudging, but also to do it personally, by measuring 5 essential well-being elements and personal parameters of each employee on the basis of which insights are provided. So Gartner, as usual, hits the mark, nudging is really the trend of the year and therefore it is necessary to know and apply it for those HRs who follow the trends and try to give useful benefits both employees and business.